I love getting monthly subscription boxes–it’s a fun surprise you get each month in the mail! The amount of subscription services available has grown like crazy over the past couple years; there’s really something for everyone out there. Here are some of my fave subscription box services along with information on one of their previous boxes. Sign someone up for a gift that keeps on giving throughout the year, or start the new year off right by treating yourself once a month! 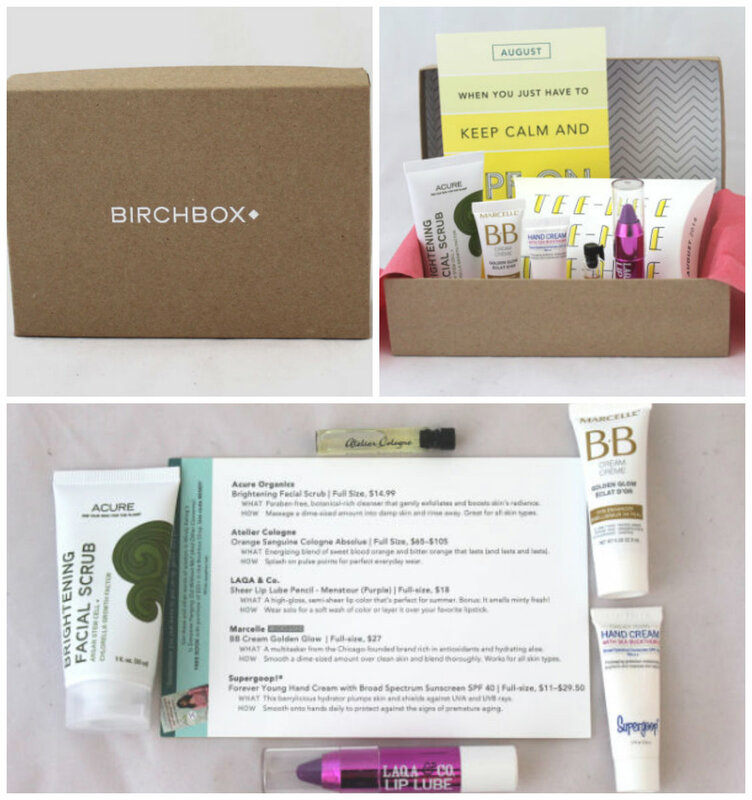 Notes: Birchbox is the only monthly subscription box that I’ve consistently paid for. The contents of the boxes can be hit-or-miss, but I’ve found that even things I don’t think I’ll love end up being terrific once I’ve tried it. The only problem? I’ve gotten hooked on some higher-end products and ultimately ended up buying full-size versions. (I love anything from Beauty Protector and Eyeko now, and had to have No. 4’s Volumizing Shampoo after trying it.) Luckily, reviewing the sample products you receive in your box gets you points which turn into Birchbox.com store credit. If you review each item each month, your box ends up paying for itself. This is great for anyone who loves to try new makeup/hair trends, pamper themselves, or just learn more about grooming products in general. Get it here. 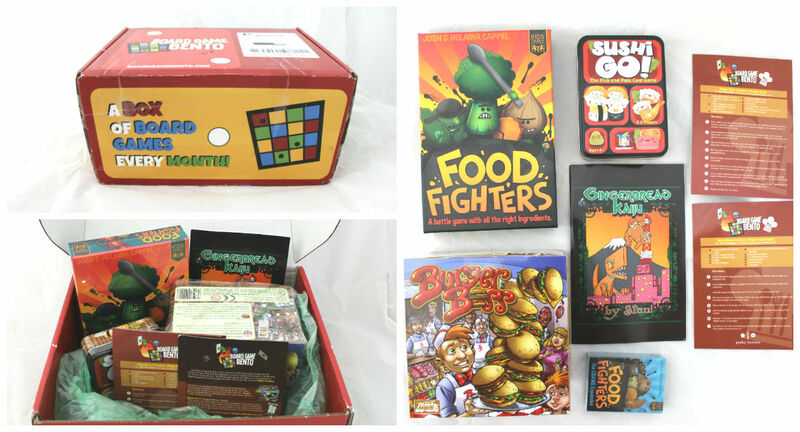 Notes: Board Game Bento is like a game night delivered to your door each month. If you have friends that enjoy playing games and are up for trying new ones often, this is the box for you. The value is great: the box is $50 a month, and the May 2016 box had over $100 worth of games in it. (Plus, they had the excellent taste to work with me on creating special recipes for each game!) The games included in this box are award winners, new games, and games that are hard to get in the US, and they look like they’d all be great for families. I would highly recommend this. Get it here. Notes: If you like Japanese culture or (like me) you just love candy, this is a great box to try. For $25, you receive 2 shipments each month. 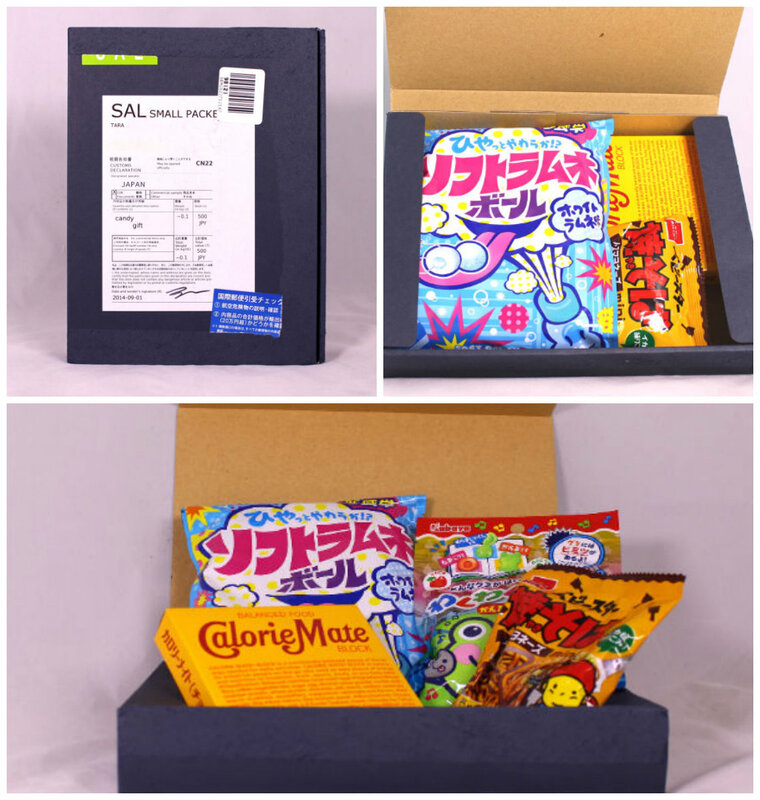 The shipments include some interested Japanese candies and snacks, and shortly after the package is sent, you receive an email with information on the candy and some info and fun pics from the shipper about his time in Japan. It’s like you have an awesome pen pal who doesn’t expect you to send anything back! Get it here. 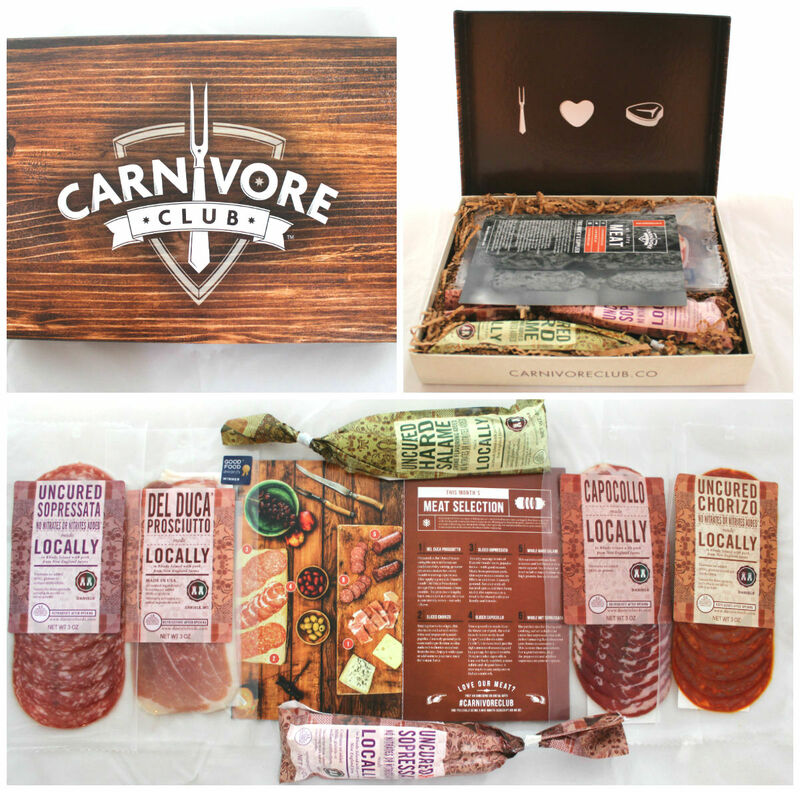 Notes: If you’re a meat lover or someone who likes to entertain often, this box is a must. I was incredibly impressed with the variety of cured meats, and love that they’re all vacuum sealed and relatively shelf stable. This means throughout the month I’ll always have some nice meats to pair with crackers and some cheese for impromptu parties and gatherings. Plus, the presentation of the box is beautiful and the guide the box comes with will make you sound like an expert on the supplier and meats you’re sampling. You can subscribe or gift the boxes, making this your go-to gift for co-workers, clients, your wedding party, your siblings, yourself…anyone who loves meat. They’ll love you for it. Get it here. 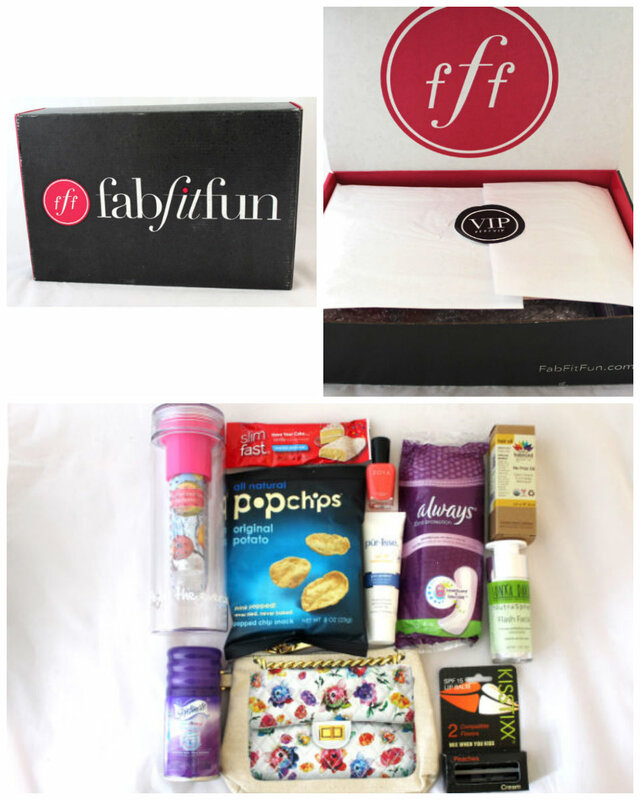 Notes: FabFitFun is like a MEGA subscription box. It’s a bit more expensive ($50), you only get it 4 times a year, and it’s FULL of stuff. The products vary quite a bit: this one had higher end beauty products along with items you could find at your grocery store. It was a fun chance to try some new things (I ended up really liking the Flash Facial and KISSSTIXX lip balm, for instance), but it would be tough to guarantee you’ll love everything in the box. (I wouldn’t normally spend $35 on the clutch that was in the box.) However, for the price, the box is definitely a good deal. Get it here. Notes: If anyone is ever looking for a gift idea for me, one of these tasting kits is it. 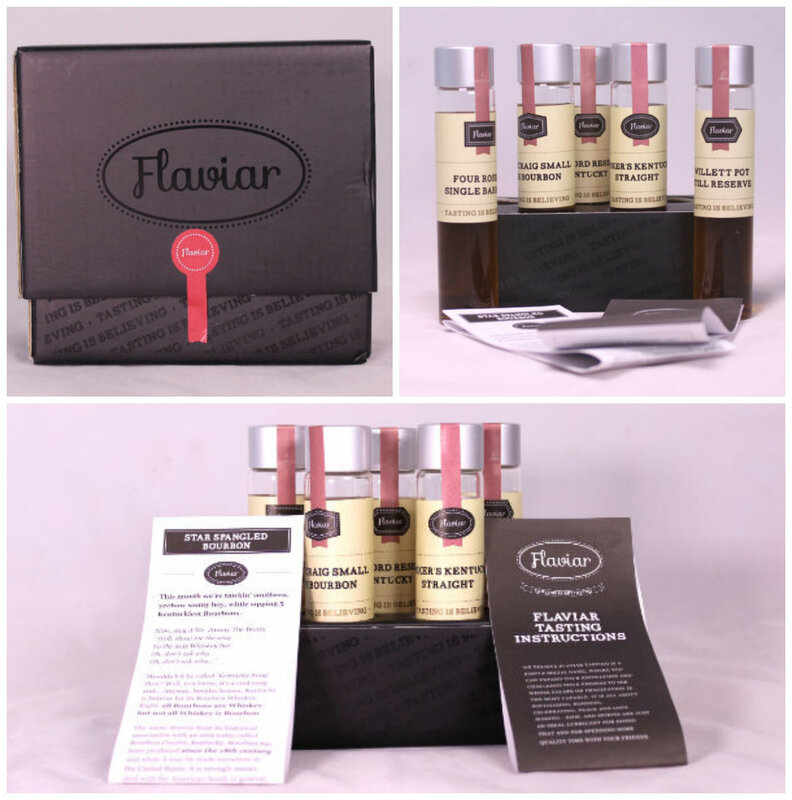 A Flaviar kit comes with 5 glass test-tube-like bottles that hold 45 ml each of a different spirit. The tasting kit comes complete with instructions on holding a tasting (it comes with enough for 3 people), trivia and important info on the spirits you’re about to taste, tasting notes, and even a link to a soundtrack to play while tasting. It’s a mini, delicious party in a box. You can select and purchase tasting kits whenever, or you can sign up to have them sent quarterly or monthly. (P.S. This makes a fantastic host/hostess gift, and you may even be invited to try it out with them!) Get it here. 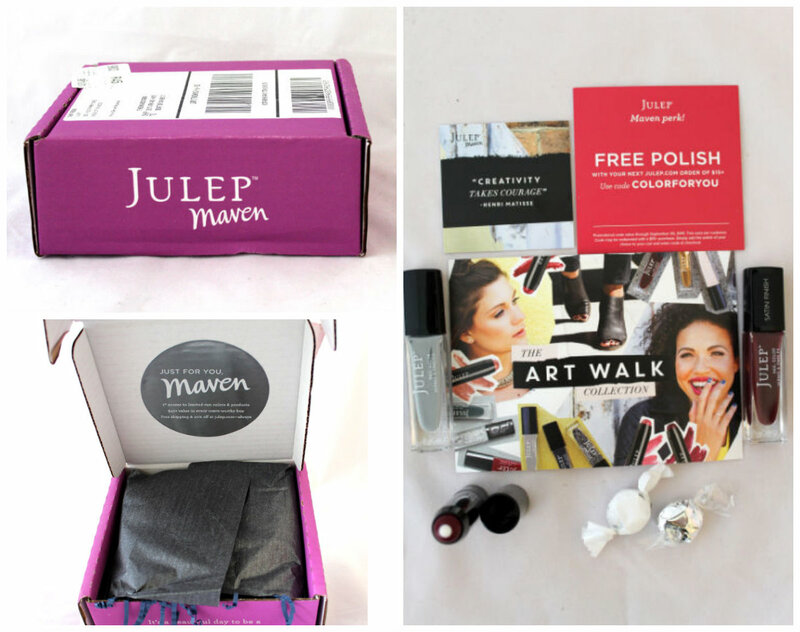 Notes: Julep Maven boxes allow you to choose from a collection of new nail colors and beauty products. Their products are quality and exclusive to the Julep brand. (And I love it because it started in Seattle!) I only get this every few months, because I quickly got more nail polish than I knew what to do with. Each box also comes with an extra treat (past boxes have included candy, flower seeds, rings, hair accessories, etc.) and a cute card with an inspirational quote on it. Get it here. Notes: A Kitchen Box is the ultimate gift for a home cook. Each box has a theme (mine was “Farm to Table”) and includes recipes, art, songs, and ingredients to help you create meals in that theme at home. They also include a favorite tool of theirs (my box included a fantastic pairing knife) and a flour sack towel each month. 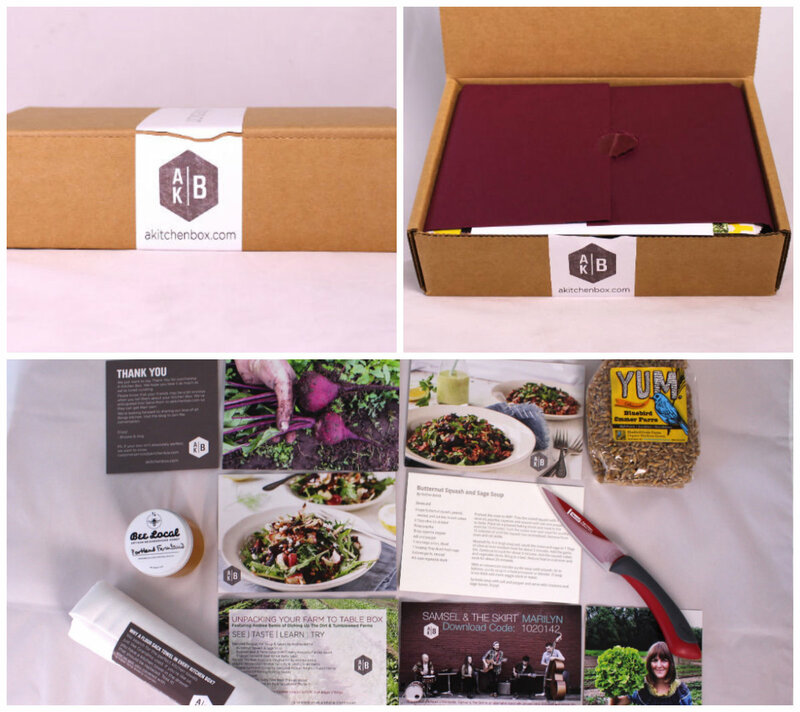 The contents of the box were beautiful and thoughtfully curated, and left me inspired to cook. Plus, with each box purchase, $1 is donated to RVOO Orphanages of Kenya, to help change the life of a child. Get it here. Notes: Loot Crate, if you couldn’t gather, is for geeks and gamers. It focuses on a variety of fandoms new and old, with collectibles, t-shirts, toys, digital content, and more in each box. I often find one or two things I like in each box, and end up with other goodies I hang onto for gift giving opportunities. 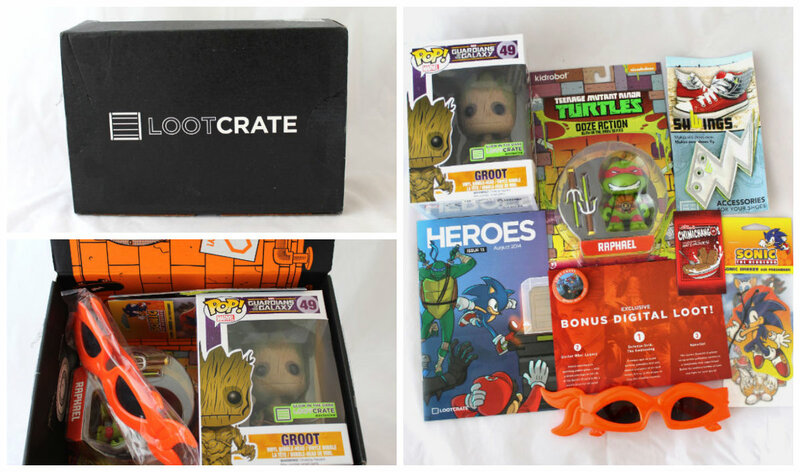 This was one of my fave boxes: I love the Groot exclusive, the TMNT glasses, and shoe lightning bolts specifically. This is great if you’re a collector or love toys. It would also be great for a family with a few geeky kids (and maybe a geeky grown-up or two): you can all split the contents each month (or keep the toys as prizes to reward good behavior). Get it here. 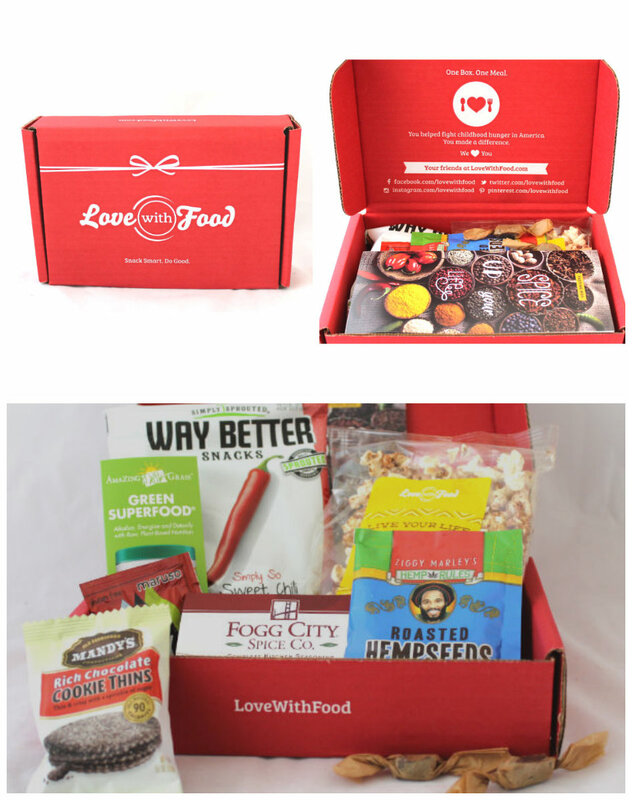 Notes: If you’re looking for new yummy and healthy snack ideas each month, this box is a must. For only $10, you get 8-10 different items in the box, and Love with Food donates a meal to a hungry child in the US. I like that you get a mix of pre-made snacks and ingredients to use in your next meal–it adds a bit of adventure to a variety of eating occasions throughout the month! 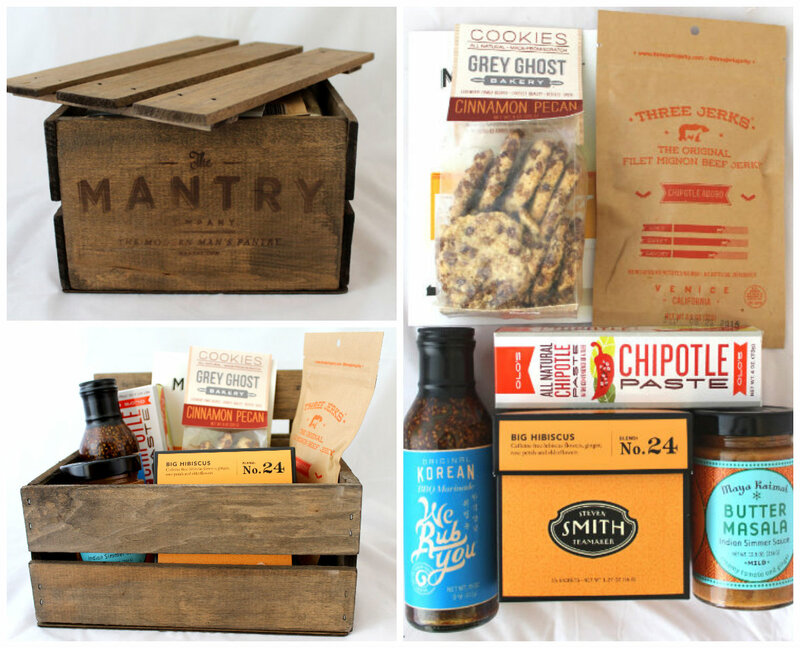 Value-wise, I think this is one of the best subscription boxes out there. Get it here. Notes: If you are serious about good, artisan food, then Mantry’s for you. The price point’s a bit steep for me, since I can be picky and am not guaranteed to love everything each month, but if you have some extra income or really want to try the best of the best, then subscribe. The crate it comes in each month is a huge added value: I now use my crate to hold important papers/things on the side of my desk.The Mantry I received was inspired by food trucks around the country. The Big Hibiscus tea is one of my new faves, and Mr. Geek and I both loved making the Butter Masala chicken. We’ve had this box for a couple months and still haven’t tried everything in it: it’s awesome that many of the items can be saved for a while, so you’re not pressured to use them immediately. Finally, although it’s called “Mantry,” it’s definitely not just for men. Any food lover will have a blast going through the contents and putting together some new recipes. Get it here. Do you have a fave subscription box I haven’t included? Let me know in the comments! PetBox! For the pet lover in your life! There’s a cat version and a dog version. I tried the cat version and it was pretty awesome. We’ve used all but one item in the box, and that’s only because we’re incredibly picky about cat treats/food. nerdbrick.com they have themed boxes and promise a monthly t-shirt. got my daughter one for her birthday and she LOVED it, it even had a stuffed Boo, the internet famous dog. i’m hoping to get a boys box for her younger brother and an arcade box for her older brother for christmas presents. oh, and kawaiibox.com super cute asian stuff! I love the accessories Level Up for Loot Crate, it’s awesome. I’ve gotten so many cute geeky accessories, like necklaces, that I wear all the time. My husband and I did the annual subscription as an anniversary present to each other, he gets the Loot Crate and I get the accessories!